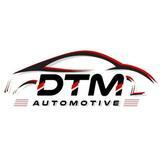 @dtmautomotive is on Carousell - Follow to stay updated! CHINESE NEW YEAR SERVICING PROMOTION FOR ALL CAR MAKES AND MODELS!! !